I love keeping organised. I have lots of lists here, there and everywhere – lists of shopping we need, lists of blogging jobs, lists of things that need doing around the house, lists of school dates and projects. 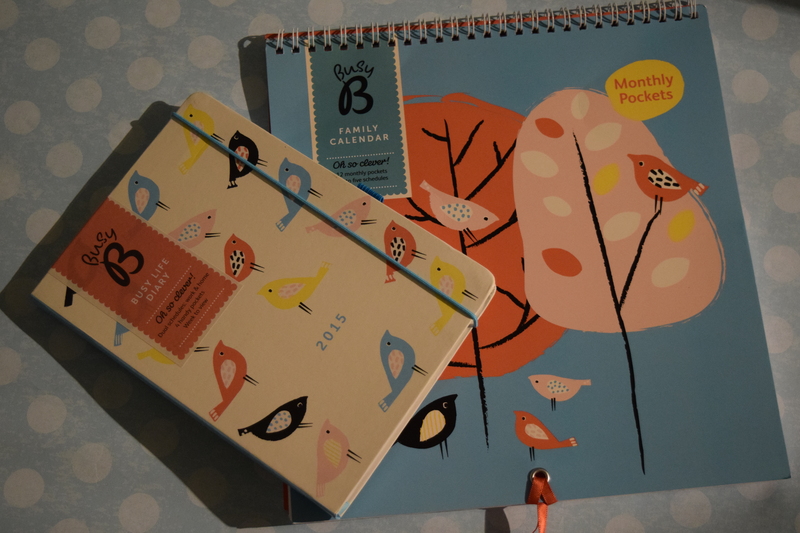 When I was offered the chance to review the Busy B range, I jumped at the chance – their website is a haven of calendars, diaries and luxury stationery – perfect for someone like me! 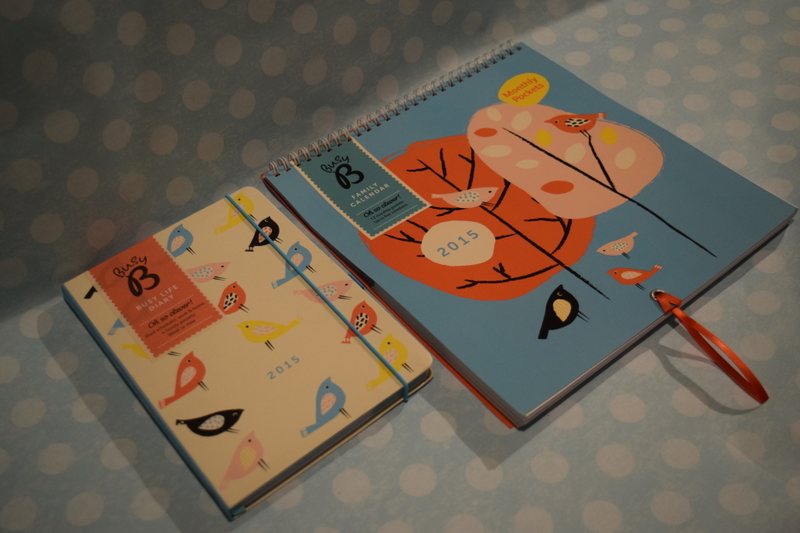 I received the Busy Life Diary and the Family Calendar. 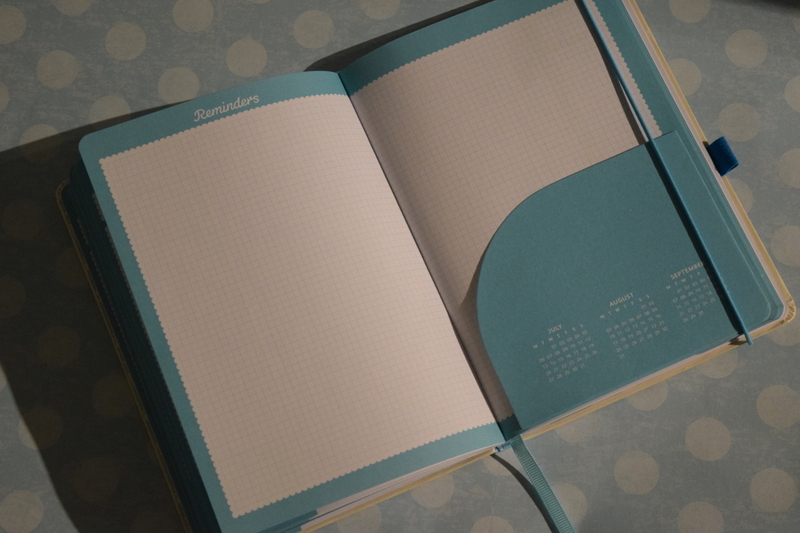 The Family Calendar is essential for a busy family, and it so well designed for that purpose. There are 5 columns each month, so there is room for all of us to record appointments and reminders, as well as a 6th ‘birthday’ column, where we can write down the special dates to celebrate with family and friends. What I especially love is the pocket at the top of every month, where we can slide in party invitations, bills to be paid or tickets for upcoming events. Genius idea that keeps everything together so we don’t miss a thing. 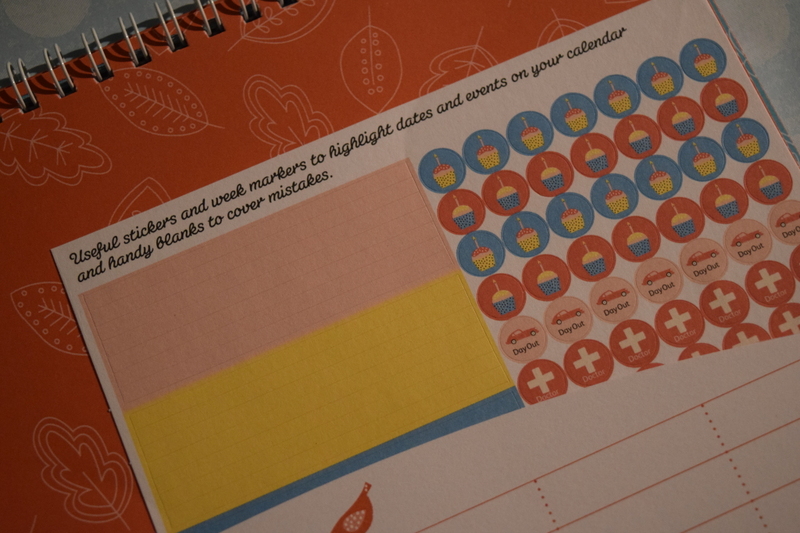 I also really like the useful stickers and week markers that the children can use to highlight special dates on the calendar. It helps them to recognise what is going on on a certain day, and to make sure they are ready for it. There are even some blank stickers to cover mistakes or cancellations – much nicer than having to scribble something out! While the Family Calendar is for everyone, the Busy Life Diary is ALL MINE. This clever little diary looks like any other, except for one thing – it allows you to have 2 schedules side by side – so I can run my daily life alongside blogging reminders and deadlines, all in one neat little book. There are also extra little sections that make the diary really useful, such as a reminders page, contact list and handy pockets to keep receipts, appointment cards and tickets in. Your whole life can be contained in a gorgeous little diary, and that’s so important when you have 3 kids and a job to do! So has Busy B helped organise my life? You bet it has! It means the family only needs to glance at the Family Calendar to know who should be where, and when, and my special diary keeps me on tracks and helps me stay focused and on time. I can’t really argue with that! I will definitely be buying more items from the Busy B range, without a doubt. Next Post Do you explore the outside as a family? lisaslife1970 recently posted…I Can Sing A Rainbow! Love, love, love! Oh, I do like a bit of pretty stationery, and this looks so useful, too!